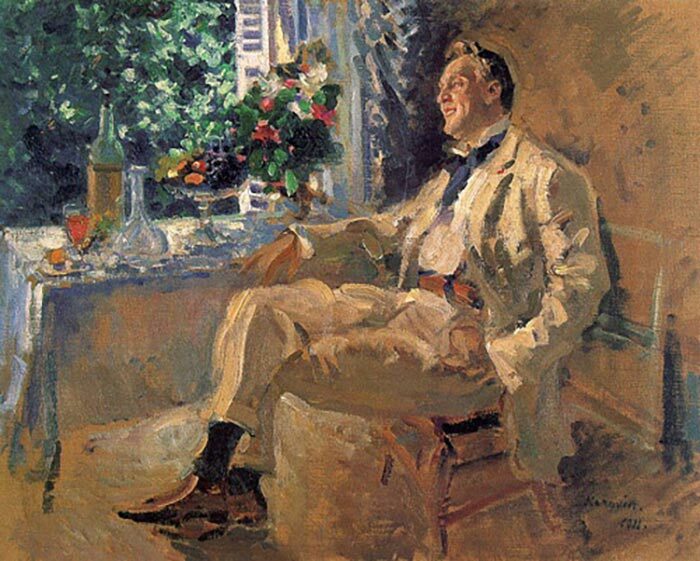 Virtuoso brushwork is a defining feature of many of the great artists. They wielded their brush like it was an extension of their arm and paint flowed effortlessly onto the canvas. They knew when to paint thick and when to paint smooth. When to paint with delicate attention and when to simplify the detail. When to blend and when to paint direct. When you start painting, brushwork almost seems like an afterthought. You focus on how to identify a color, mix that color and place it in the right spot on the canvas. But how you place that color is also critically important. If you become skilled with your brushwork, then it can become a key feature of your paintings by itself. People will be in awe of the way you move paint around the canvas, rather than just how well you painted the colors and details. In this article I discuss how you can use brushwork more effectively in your paintings. Below are some of the different types of brushwork you can use in painting. You will notice that there are always two sides to each type. What is thick, cannot be smooth. What is delicate, cannot be simplified, and so on. It can be highly effective to contrast these opposing types against each other in a painting. You can also use a variety of the following types throughout your painting to create a dynamic effect. Your options are only limited by your imagination. 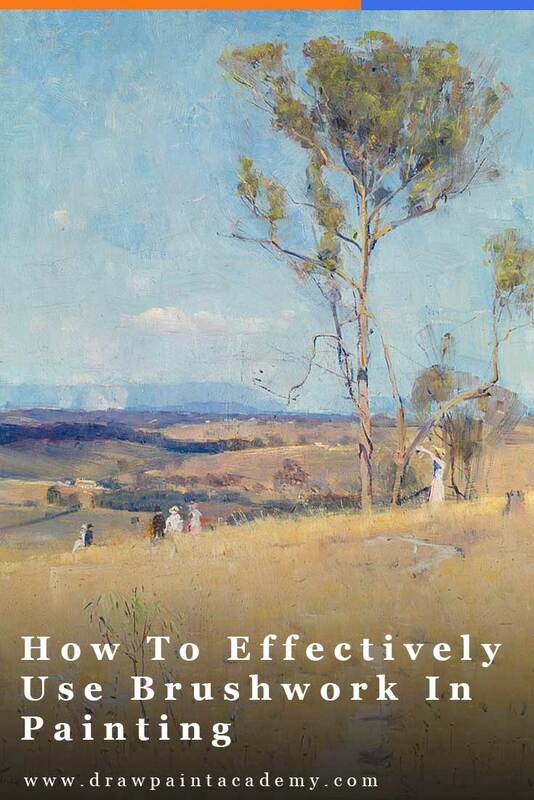 Most people only ever stick to one kind of brushwork which they get familiar with early on. But if you can learn a variety of different types then you will have an advantage over many other artists. Thick: The build-up of a significant amount of paint on the surface of a painting. To do this you need to fully load your brush with paint or use a palette knife. Smooth: Utilizes thinned paint and blended brushwork. Useful for painting background areas. Simplified: Generalized brushwork which ignores most of the detail. 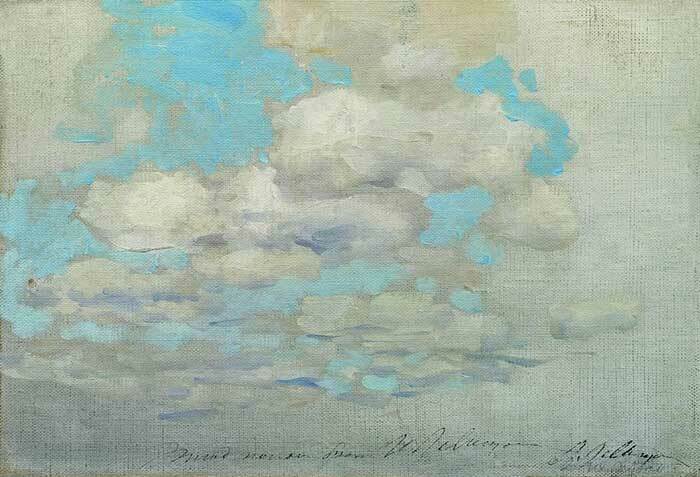 Long: Long, waving strokes which are useful for painting distant plains, water or sky. Short: Short, chopping strokes which can signify heightened activity (picture the turbulent waves as they crash against rocks). Broken: Varied colors and brushstrokes. Useful for creating the illusion of nature (grass, trees, rocks, etc). Solid: Solid blocks of color with little variance. Useful for dominant objects which command attention. Linear: Straight brushwork. Useful or painting rigid objects. Organic: Free-flowing brushwork which does not seem to follow a predetermined path. A tip I find useful is to try and match the type of brushwork to the subject I am painting. 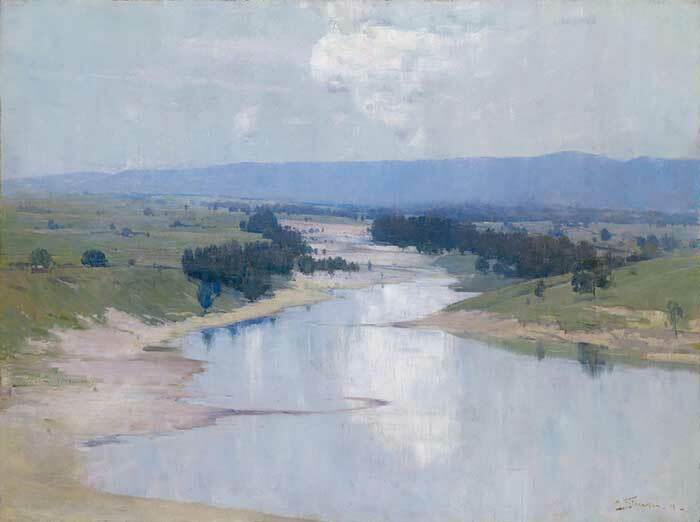 For example, if I am painting the glassy water of a still lake, then I would use long, smooth brushwork. If I am painting waves crashing against rocks, I would use short, chopping strokes of varied colors. 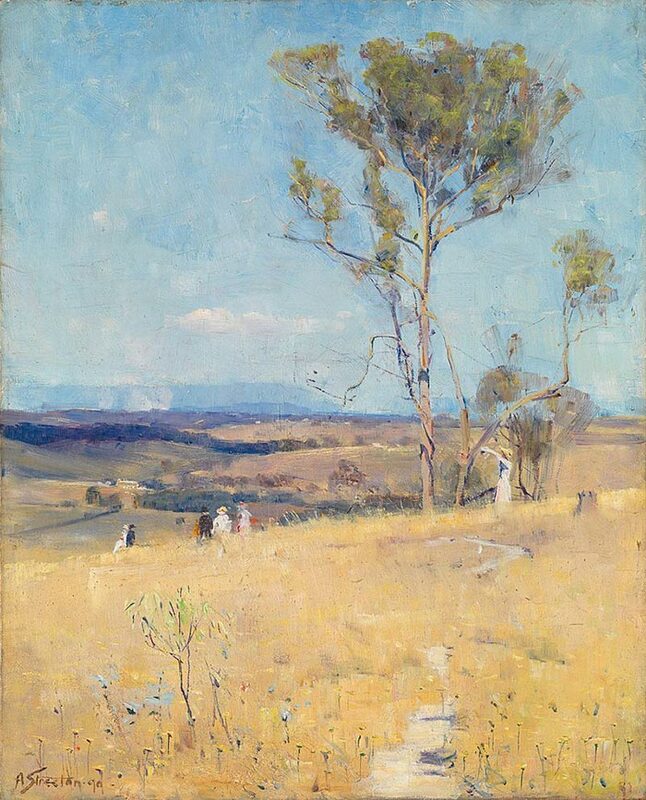 If I am painting the dry, Australian grass, I would use scattered brushwork with varied texture and a build-up of broken color. If I am painting fluffy white clouds, I would use thick, white paint (or more accurately, very light gray) with gentle, curving strokes. 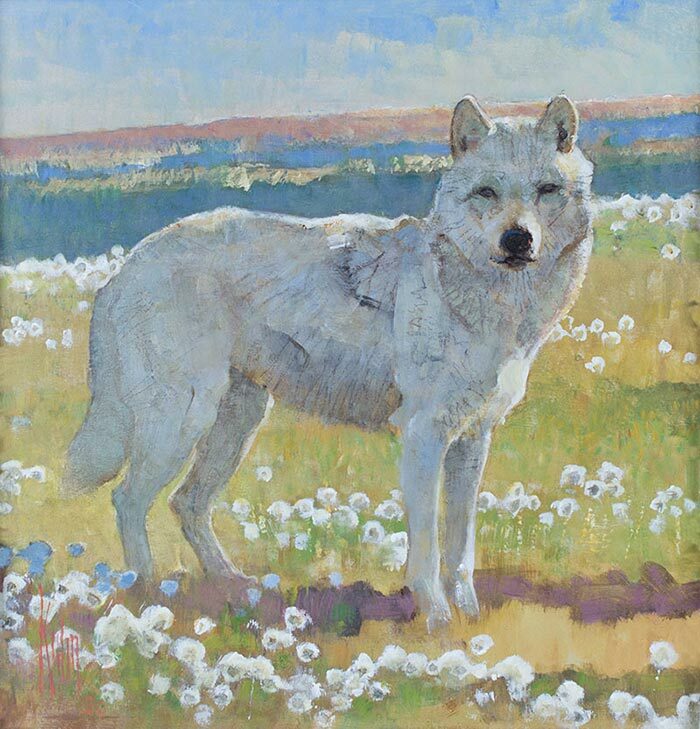 If I am painting an arctic wolf in the landscape (not sure when I would ever do this, but you never know), I would use delicate brushwork with short and precise strokes. Making Sure Your Brushwork "Fits"
I had an email from a reader the other day who said they are struggling with painting straight lines and if there is any style of painting which would be forgiving of this. My advice was to check out some of the Russian Impressionists, who often paint rigid subjects like buildings and chairs in a very loose manner. The "straight lines" are often far from straight. But it seems to work in the context of the painting. That is why context is so important in painting. You can make anything work depending on the context. The Russian Impressionists are able to get away with loose brushwork for rigid objects because they paint everything else with even more looseness. So the relationship between the rigid and organic objects remains intact. 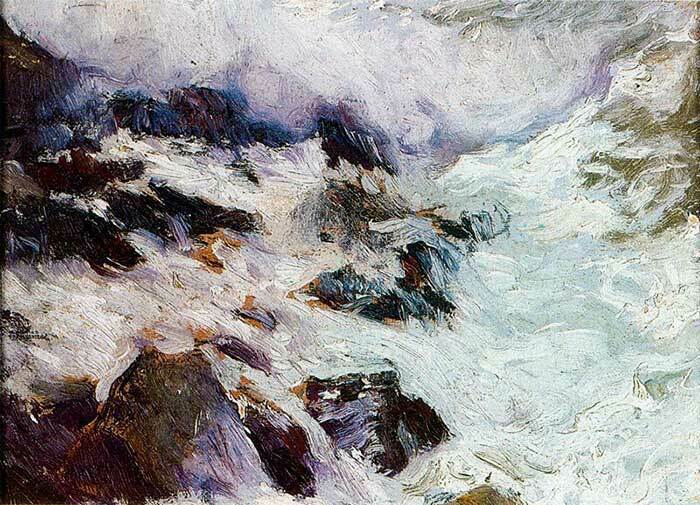 Below is a painting by Korovin Konstantin. If you look closely, you will notice that he does not appear to have worried about getting all the lines straight, or the drawing completely accurate. If anything, you could accuse him of almost being clumsy with his painting. But that would be a short-sighted view. As a whole, the painting seems to blend well together. Nothing seems out of place or awkward. Had he painted the table, chair and window with more delicate attention, it may actually look out of place in the context of the rest of the painting. Rigid brushwork which should be loose, and vice versa. A lack of fluency from one area to another. Brushwork which does not seem to match the subject. If you know of any other artists who demonstrate fantastic brushwork, feel free to let me know in the comments. Thanks Viveca, I forgot about Zorn. Most of the early impressionist s like Monet, Cezanne have short brush works .Also Rik Wouters has a very specific brush stroke. I notice many abstract painters leave edges rough and brush strokes uneven. I suppose this is part of the genre. In my case it looks amateurish and unfinished. I have the urge to tidy it up. Thanks Joan. I will check out Carl Rungius. Very interesting and timely as I am currently working on a piece with multiple straight lines which I’m trying to loosen up. Your blogs are always informative and well-written; thank you for sharing your knowledge and experience! Unless I have missed it…..’What medium are you using.’ All that was shown but you could have been easily been Acrylics, or Gouache. Thank you for an answer. I use oils Gina. But same applies for acrylics mostly. Very important information. Thanks Dan. It would have been much helpful if you could show different types of brushwork in a short video. Thanks a lot anyway.